In broad terms Australian servicemen and some civilians were captured and interned variously by Italy and Germany as a consequence of campaigns in Greeece Crete, North Africa, the Middle East and the Air War over NW Europe, and by Japan primarily as a result of the Fall of Singapore and fighting in the SW Pacific. Over 30,000 Australian servicemen were taken prisoner in the Second World War and more than 8,000 gave their lives. Australian PoW ended up scattered all over Nazi occupied Europe and in SE Asia. 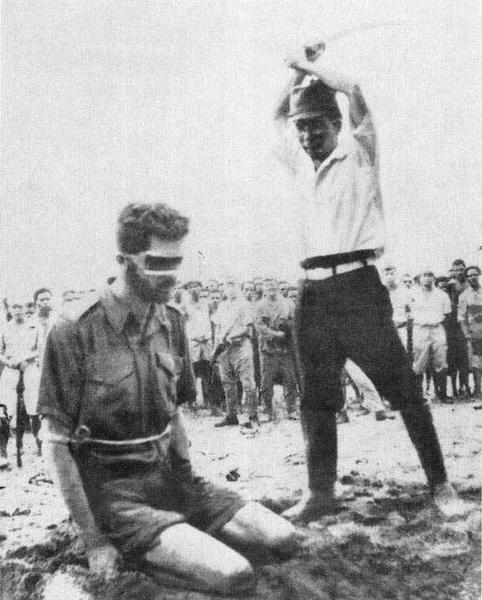 More than two-thirds of those taken prisoner were captured by the Japanese during their advance through south-east Asia in the first weeks of 1942. The fortunes of PoW varied enormously; while Italy and Germany largely observed the Geneva Convention, Japan completely flouted it, neither having been a signatory nor conforming to what was by then accepted practice among the European powers. This simple fact is reflected in the casualties among PoW. Two-thirds of those taken prisoner were captured by the Japanese during their advance through south-east Asia in early 1942. While those who became prisoners of the Germans and Italians lost 265 of their number and so the vast majority returned home at the end of the war, 36 per cent of prisoners of the Japanese died in captivity. Prisoners of the Japanese suffered extraordinary privation and maltreatment. Japan was notably not a signatory to the Geneva convention, and became notorious for its treatment of prisoners oof war and civilians in its occupied territories; most particularly ethnic Chinese. Many Australian PoW in the SW Pacific area lost their lives at sea during the course of trans-shipment to Japan where they were intended to work as slave labour in coal mines. A number of these ships were torpedoed by US submarines, which did not realise the nature of their cargo. These incidents are dealt with in a published article "PoW Death Ships" (/research/home-page-archives/the-pow-death-ships), and collectively constitute Australa's worst loss of life at sea, numbering more than 1,000 PoW and civilian internees . The Japanes also routinely executed captured aircrew, and infamously, in February 1942, machine gunned to death a group of captured Australian nurses at Bangka Island near Sumatra after their ship, the Vyner Brooke, was sunk trying to get away from Singapore prior to its fall. The Australian PoW experience and the broader conduct of the campaigns in Malaya / Singapore are comprehensively dealt with in Peter Brune's excellent book "Descent into Hell", published in 2012. 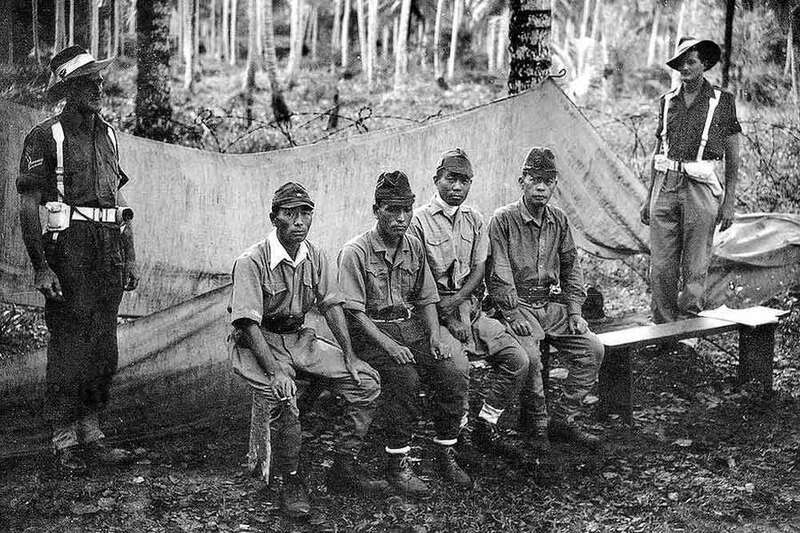 Perhaps the most notorious and least well known group were "B' and 'E' forces, sent to Borneo; specifically to Sandakan. Apart from a small group of officers and 'recalcitrant' prisoners sent to Kuching and Outram Road Gaol in Singapore respectively, all but six of the Australian PoW at Sandakan died or were murdered by their Japanese captors in a deliberate policy of deprivation and annihilation. Two books of note deal with Sandakan in detail; "Sandakan - a Conspriacy of Silence" by Lynette Ramsay Silver, published in 1998, and "Hell on Earth - Sandakan Australia's Greatest War Tragedy" by Dr Michelle Cunningham. published in 2013. During the course of their captivity by the Japanese, Australian PoW were moved around the SW Pacific and to Japan on board Japanese merchant ships. These were not marked in any way to distinguish them from other Japanese ships and as such they became targets of the US submarine fleet operating in those waters. Many of the ships were lost and large numbers of casualties resulted. On several occasions the US submarines realised what had happened and returned to collect survivors. Japanese naval vessels also collected survivors but there were instances where they machine-gunned survivors in the water rather than collect them. The list included the following ships: Awa Maru, Dainichi Maru, Imbari Maru, Kenkon Maru, Kibitsu Maru, Maebashi Maru, Miyo Maru, Moji Maru, Nagara Maru, Rakuyo Maru, Rashin Maru (Bioki Maru), Tamahoko Maru and Yamagata Maru. See active links in the sidebar. Over 22,000 Australians became prisoners of war of the Japanese in south-east Asia : Army (about 21,000); RAN (354) - mainly survivors of the HMAS Perth; and RAAF (373). The Army prisoners were largely from the 8th Division captured at the fall of Singapore . 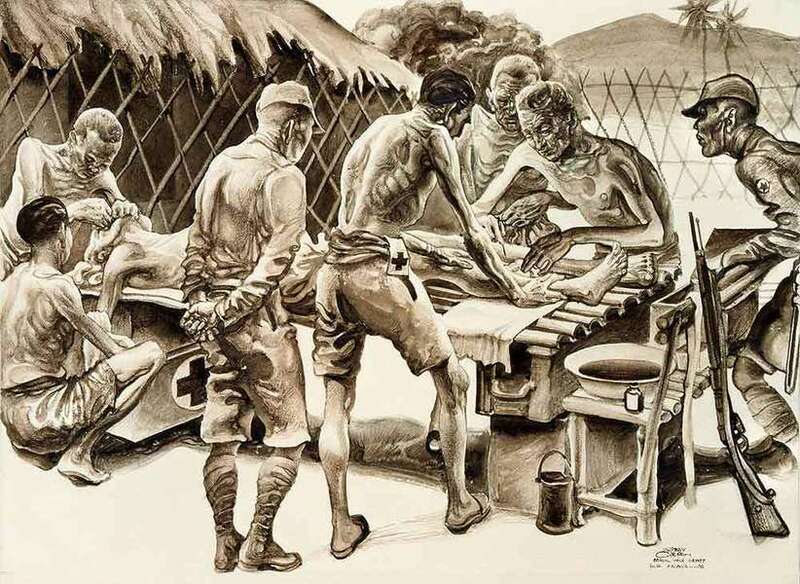 Australian troops were also captured on Java, Timor, Ambon and New Britain. Prisoners of war were formed into work parties to provide forced labour for the Japanese army. Throughout the war, Changi in Singapore was the main camp from which working parties were sent to other destinations and through which prisoners of war captured in other areas were staged. Manchuria, Indochina, Formosa and Korea . By September 1945, Australian prisoners of war were scattered widely across south-east Asia . The largest group was congregated on Singapore Island and Johore (5,549); but 4,830 were distributed in several camps and in a number of working parties in Thailand and remote areas of Burma. In addition, 265 were in French Indo-China; about 750 were distributed throughout the islands of the Netherlands East Indies, with 385 in Java and 243 in Sumatra; about 100 were on Ambon; two were at Macassar; seven on Bali; another 150 were at Kuching in British North Borneo. About 2,700 were distributed between Japan, Korea and Manchuria, while about 200 remained on Hainan Island. The railway workers were organised by the Japanese into “groups” or “branches”; some branches had as few as 2,000 workers, others as many as 12,000. Two prisoner-of-war groups - nos. 3 and 5 - functioned on the Thanbyuzayat side of the railway; four - nos. 1,2,4 and 6, plus about 10,000 workers who came under Malayan prisoner-of-war administration - worked forward from Bampong in Thailand. Of the 22,376 Australian prisoners of war captured by the Japanese, some 8,031 died while in captivity. After the end of the war, War Crimes Trials were held to investigate reports of atrocities, massacres and other causes of death. On 12 February 1942 just before the capitulation at Singapore 65 Australian nurses embarked on the Vyner Brooke. On 14 February the Vyner Brooke was sunk just off Banka Island; 22 nurses made it to land but were shot by Japanese soldiers. The only nurse to survive was Sister Vivian Bullwinkel; after ten days of freedom she was captured and imprisoned at Muntok. The nurses were moved from Muntok to Palembang , then to Muntok again and finally Lubuk Linggau. At the end of the war, only 24 nurses returned to Australia, the rest having died in captivity. Oct 20: RAN Operations SW Pacific 1944-45 - "Lleyte 1944 / Lingayen Gulf 1945"